NAGA CITY (Bicol Standard) – Bicolano commuters want their voice to be heard in relation to the forthcoming closure of the 46 provincial bus terminals along EDSA slated to begin this April. This after the Metro Manila Development Authority announced earlier this week that passengers from the south would have to alight at an integrated terminal in Sta. Rosa, Laguna, then transfer to city buses to get to different parts of Metro Manila. The MMDA maintained this would help decongest EDSA of traffic. Boyet, 51, who frequently travels to Manila from Naga City for business, believes this move will create more problems than solutions. “While we all want EDSA to be declogged of traffic, let us not forget the welfare of the commuters not only from Bicol, but also from Visayas and Mindanao,” he told the Bicol Standard during an interview at the Central Bus Terminal on Friday morning here. “Where is the wisdom in this?” she asked. She added that while politicians are now busy preparing for the midterm elections, they should attend to this pressing concern, as it will affect ordinary people who depend on public transport. 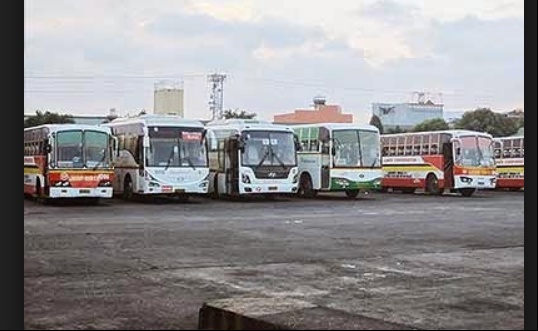 MMDA General Manager Jose Arturo Garcia, Jr. late last year told the media that it was President Rodrigo Duterte who directed the closure of all provincial bus terminals along EDSA. Bus drivers plying the Naga-Manila route would not react on the same, as they are waiting for the formal announcement from their operators.